Website design and marketing for one of the most popular mobile games ever. Fruit Ninja, by Halfbrick, is one of most well-known mobile games in the world. It has been played by over a billion people since it came out in 2010. 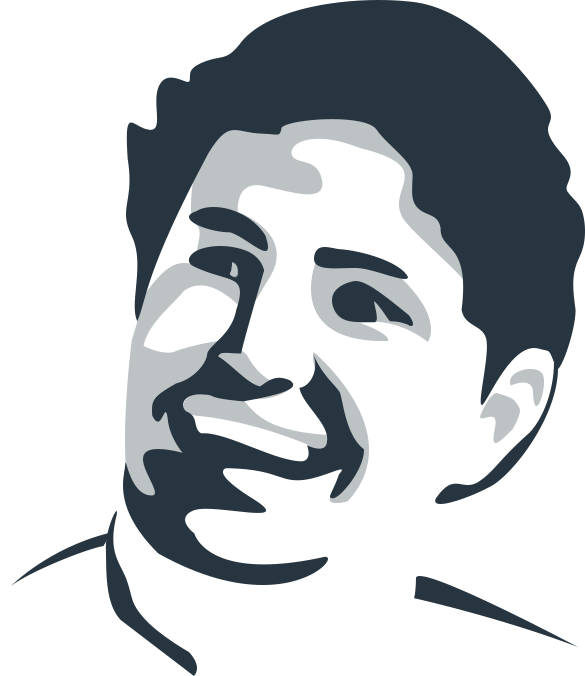 The goal of the website is to convert visitors to download the game. So content is kept minimal, with focus on the featured games. Secondary to this are showcasing other games in the Fruit Ninja brand, and providing news on the latest updates to the brand. 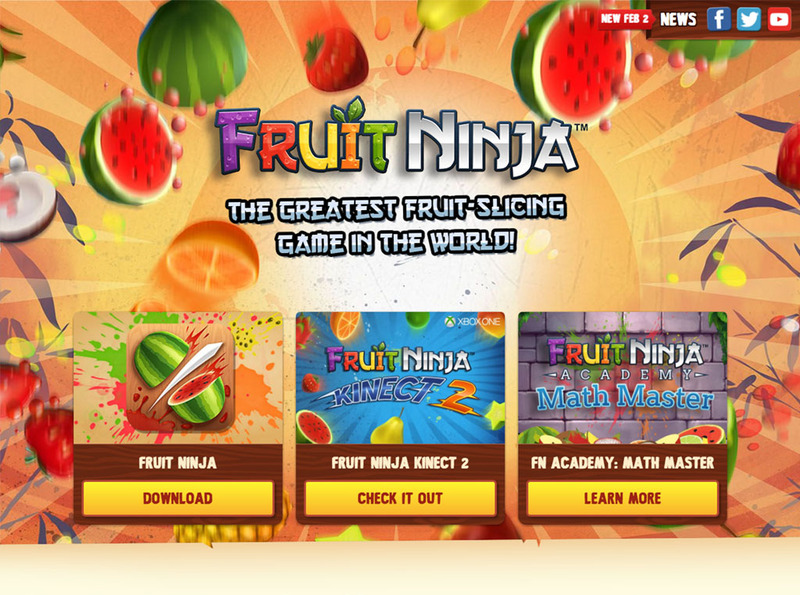 The website has been redesigned over time to accompany the evolving brand and the release of new Fruit Ninja games. The number of visitors clicking through to the app store to download the game was low. Fruit Ninja is available on multiple app store (App Store, Google Play, Amazon Store, Windows Phone). Mobile visitors were being presented with download badges for all platforms, when only their device was relevant. I simplified this by replacing multiple app store badges with a single download button, along with a script to detect the user's device and redirect them to their device's app store. By reducing the options to a single download button, split tests showed an immediate and large improvement to the click-through rate to the app store . 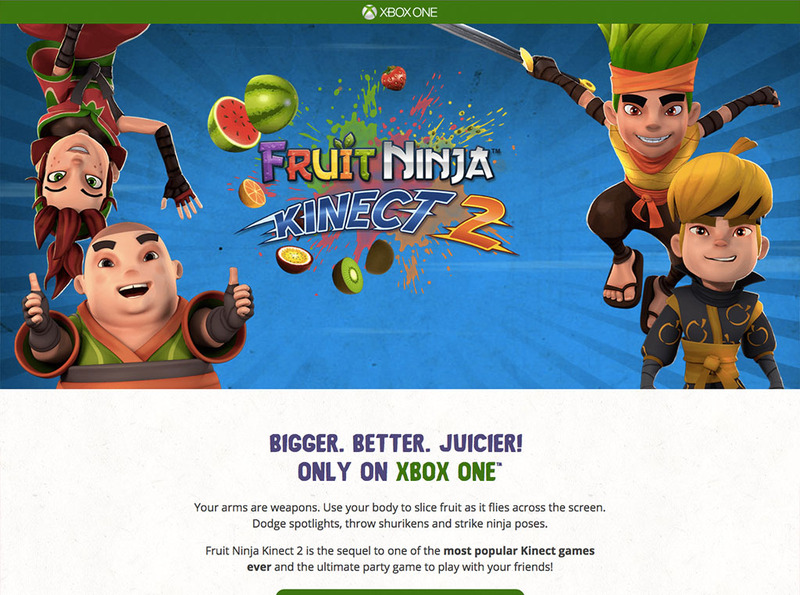 Fruit Ninja Kinect was released for the Xbox One in 2015. We introduced a new cast of characters in the game, so I featured them heavily on the site, including character bios and downloadable wallpapers. 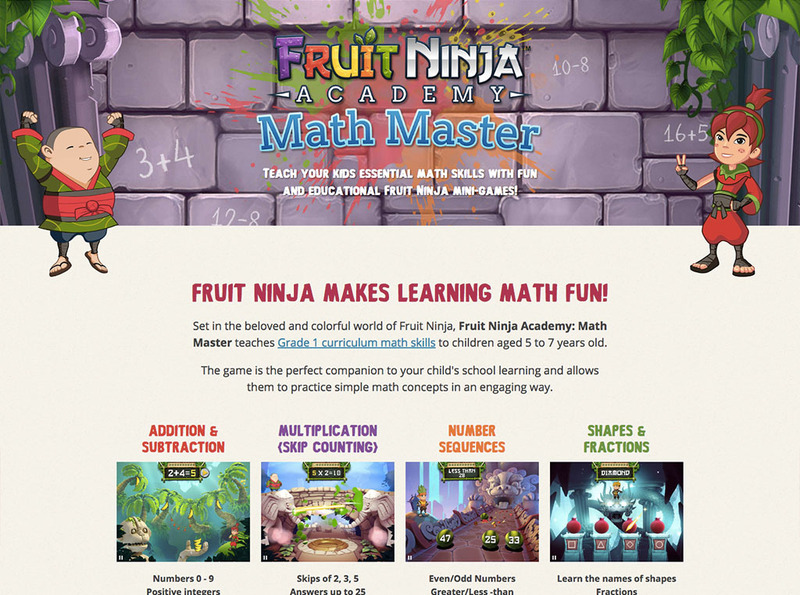 In 2014, Halfbrick released an educational math game set in the Fruit Ninja universe. This website was created with an audience of parents and educators in mind, rather than the players themselves. It featured explanations of the benefits and game modes, as well as a downloadable information pamphlet. 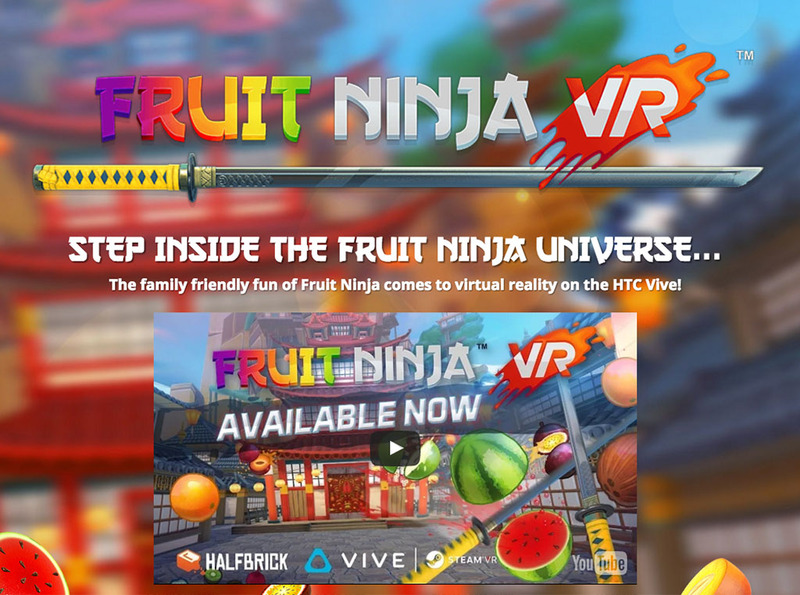 Halfbrick brought Fruit Ninja to virtual reality headsets in 2016, with great success. VR is a difficult medium to convey in video and screenshots so the clips of people playing the game help to sell the game. Prior to launch, we used this page to gauge interest in the game. This gave us several thousand emails to convert to players when the game was released on Steam. To celebrate 5 years of Fruit Ninja, we launched a campaign in Aug 2015 with Fruit Ninja themed updates to all of Halfbrick's mobile games. 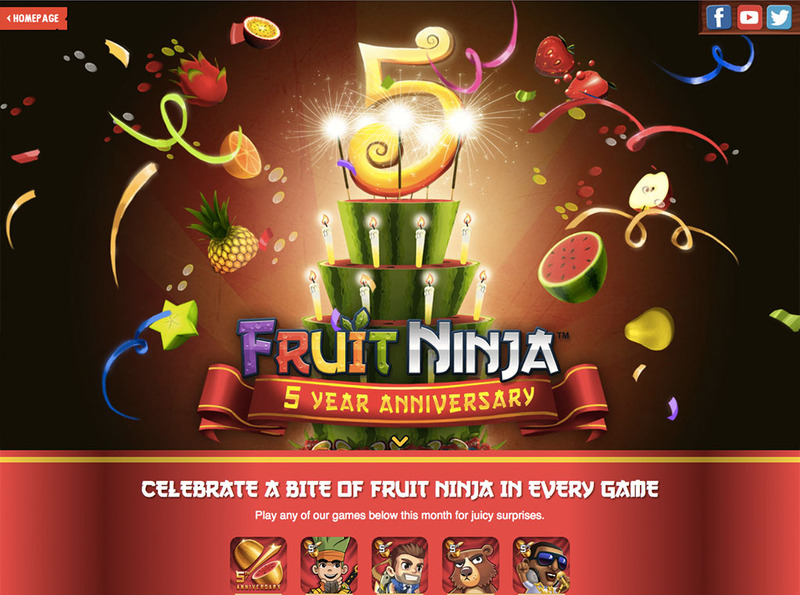 The anniversary website was a takeover of the Fruit Ninja homepage and was designed to promote these updates as well as highlighting all the milestones of the game since it launched. I wrote the content for a timeline and helped to create interesting fruit fact infographics about Fruit Ninja. The campaign was a success. The website traffic increased to ~70,000 visits/day and an improvement to the app store click-through rate led to more installs.